Last week, founding AOH member Carlton "Jerry" Coen became the first to receive a 50-year chorus pin and certificate, commemorating five decades of harmony and service to the St. Charles chapter of the Barbershop Harmony Society! Jerry was joined by his wife, Shirley, to receive his pin along with a letter of congrats from BHS Executive Director Marty Monson. Our co-director, Jim Henry, said that even through a stretch of years where the chapter struggled with membership, Jerry's dedication helped push the chorus forward. Please join us in congratulating Jerry on his achievement! Thank you, Jerry, for your hard work, fellowship, and devotion to the artform! 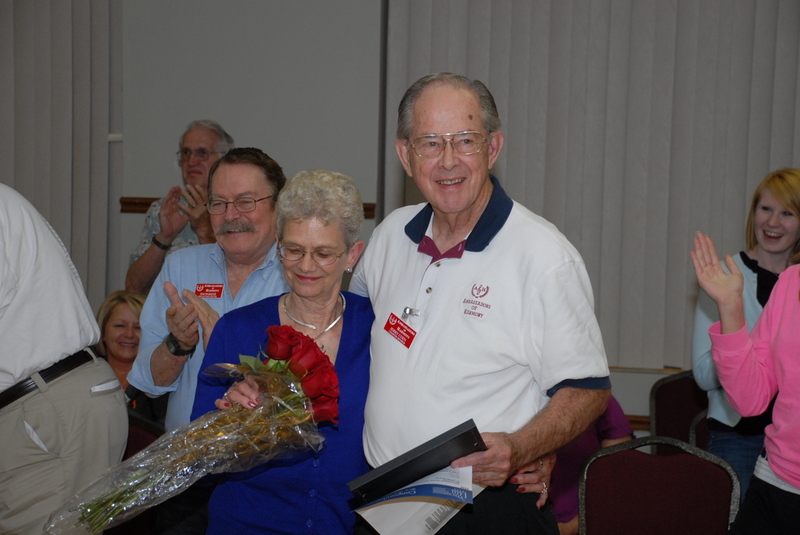 AOH honors founding member Jerry Coen.